When I look back and think about the things that took my business from being just a side hustle to a full-time and successful business there are 3 things that I did that stick out the most and I believe made the most difference. First, I was consistently posting and showing up in people’s social media feeds. When you do that they remember you the next time they need something and when you’re actually “being social” on social media people feel like they know you. This was pre-Instagram Stories and now we feel like we don’t just have to be consistent but constantly “on” so even though I haven’t fully embraced posting about every single thing I do throughout my day, I know being consistent and always showing up makes a huge difference. If a client comes to your Instagram or Facebook and sees it hasn’t been updated in 4 weeks they are going to wonder how consistent you are in your business. Think about the things you’re posting and try to keep in mind that they should be inspiring, entertaining or educational! Second, I went to industry and networking events. I made it a priority to get to know others in my industry so they would feel like they know, liked and trusted me and would feel comfortable referring me to their clients. Building a strong referral network is one of the best ways to consistently get referrals for your business. Make it a point to get to know others, go for coffee and build relationships. A plus to this strategy is if you’re anything like me it can get pretty lonely working from home so getting out and meeting others is always a bonus! Third, I positioned myself as an expert. Everyone in your industry is posting pretty pictures but when you take it a step further and write articles that answers your Ideal Client’s burning questions it helps to make you an authority in your industry. People will come to for answers and others will share you articles and videos to help educate their clients. If you’re new in your business or you’ve been in business for awhile and you haven’t put much effort into being consistent, growing your network or positioning yourself as an expert, I encourage you to incorporate these three things and see how they can help you uplevel your business! If you’re struggling with not knowing what to post, not feeling confident or how you could become an expert in your industry, I have different coaching options to help you. Go to Work with Me to find out more and if you have any questions go to my Contact page to send me a message! Should You Use IGTV for Your Business? Have you heard Instagram released an app for long-form videos? This app called IGTV allows you to post vertical videos to your own channel for up to 60 minutes. Whenever a new social media app like this releases everyone loses their minds and it's like the biggest, newest toy ever... but should you become an early adopter and hop on while it's still new? The answer is HECK YES!! IGTV is hoping to rival YouTube for your video watching attention and it's available to everyone to create videos, unlike Facebook Watch. You create your own channel by first downloading the app, record a video on your phone, upload it to IGTV, upload a thumbnail if you want, then post your title and description. What do you need to get started? Just your smart phone but it helps to have a tripod and if you're worried about lighting, a ring light will make you look amazing! Here's a screen shot of my first IGTV video! One thing to keep in mind is that your Instagram handle (your "username") is not the first thing you see, it's your description (your "name" when you edit your profile). Also, only the first 2 sentences of your bio show up so make sure that it's clear what you do. As of right now there is no monetization which means you can't make money off your videos but also there's no ads to interrupt your viewing pleasure. Once you post your video on IGTV, you can go to your Instagram Stories, post an image and link your IGTV video. Genius! The videos don't have to be as polished as YouTube videos but make sure you have a purpose for the video, you introduce yourself and give a call to action at the end. So be sure to come follow me at Kim Porter TV and send me a message if you create your own IGTV channel so I can come follow you! 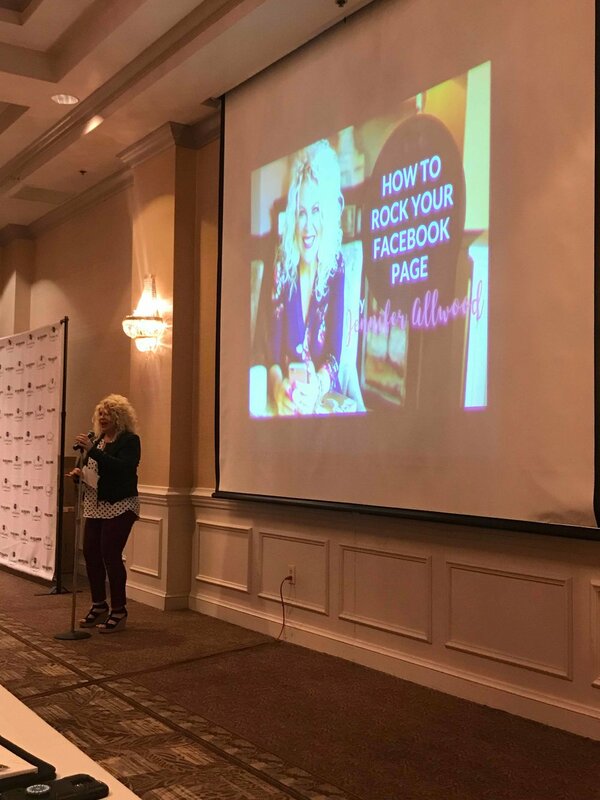 I recently attended the Social Media Marketing Made Easy conference in Virginia Beach hosted by Sharon Blackwell owner of Every Little Thing Market. I was only able to attend the Saturday morning session as we had already planned to have my son's birthday party that day but all the information was so great! The list of speakers were Jennifer Allwood who is a Business Coach for Creative Entrepreneurs and owner of The Magic Brush, Angela Herrigton a Life and Digital Strategy Coach for Christian Women, and Melanie Diehl a Digital Marketing Strategist. I have been following Jennifer Allwood on Facebook and Instagram for a few months and her videos have helped me to grow my online business and social media. I don't usually get all fan girl but I was so excited to meet her and to find out that she is in person just as she is on her videos! I took a ton of notes that I'll be sharing with my Inner Circle Coaching Group but wanted to give you a few tips that I think will help to grow your social media and online presence. What do you have to offer to them? How will life be different if they get it (your product/service)? How do they get it (your product/service) from you? Finally, Melanie Diehl discussed how to use Google My Business for promoting your business. You can get customer reviews, post your times of operation, and let clients/customers know what your business is all about. If you go to www.gybo.com/business you can claim your free Google listing. 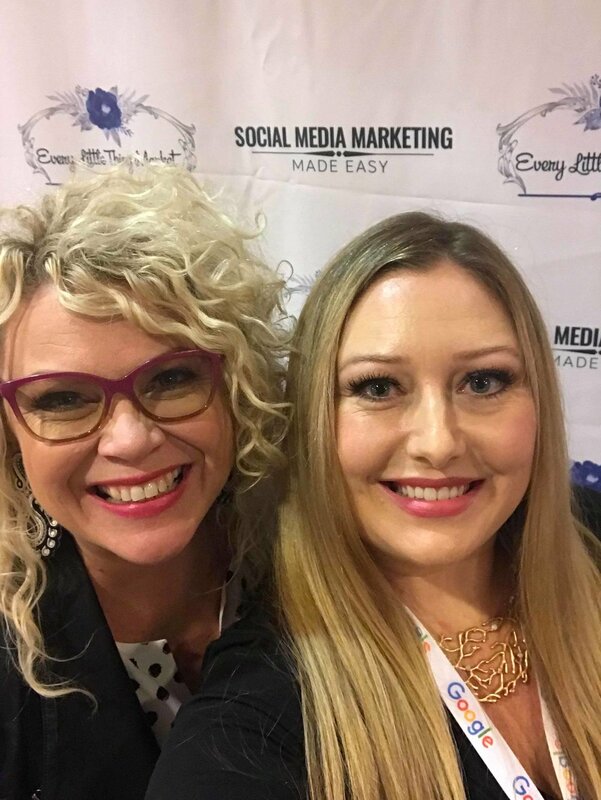 Overall it was a great chance to connect with other business owners and learn more about building my social media! I think the best feeling was knowing that just a few weeks before I saw the information for this conference I said to my sister that I wished there were more ways for me to learn and connect in our area and then *boom*, one of my favorite coaches that I have been kind of sorta stalking online comes from Kansas City to Virginia Beach! It just goes to show when you put it out into the Universe, the Universe gives you exactly what you ask for! To find out more about my Inner Circle Coaching Group go to www.kimportertv.com/innercircle.